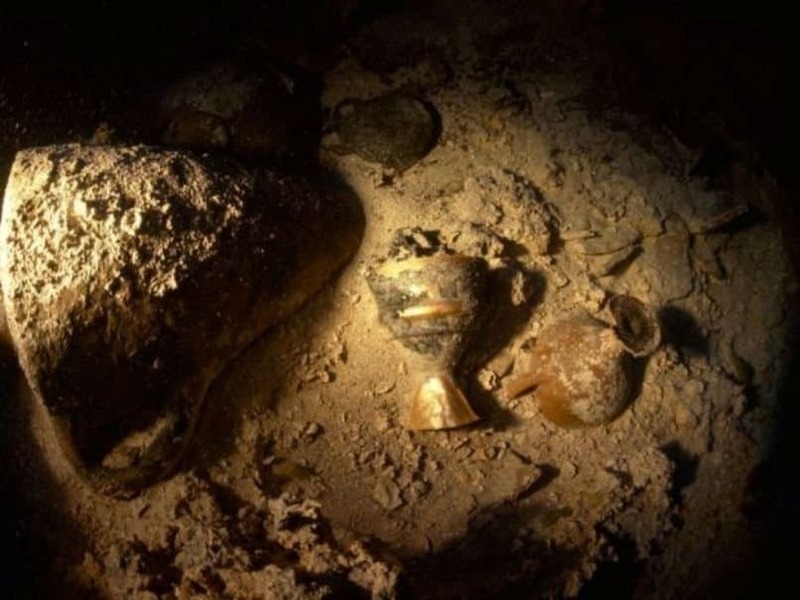 This discovery was more sad and eerie than anything. 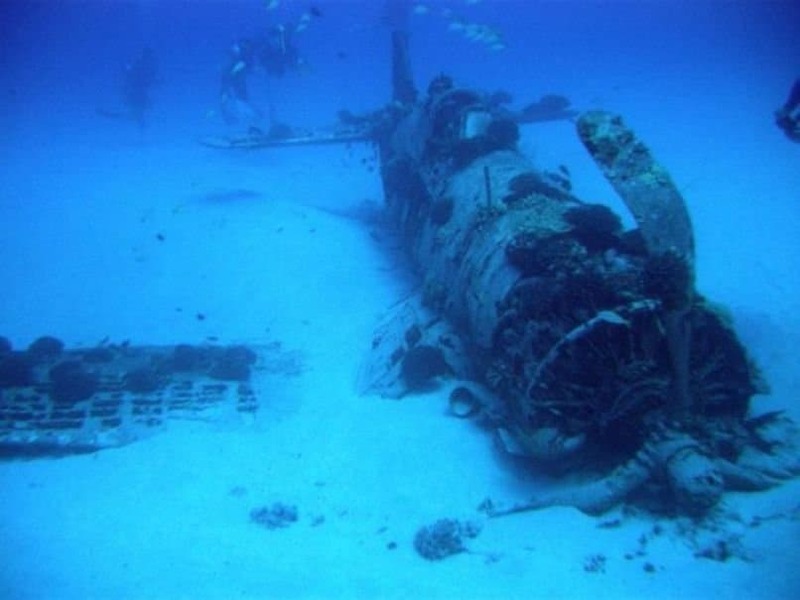 In 1944, the Allied powers bombed Chuuk Lagoon, destroying over 300 aircraft and boats. 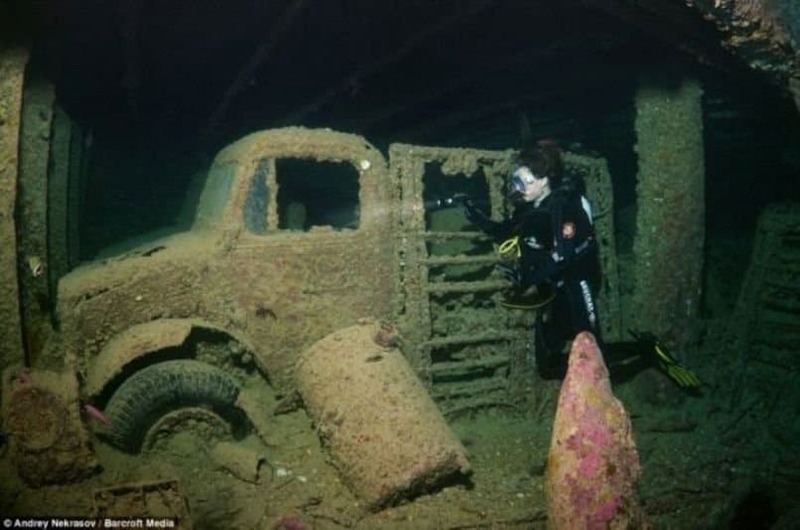 20 years later, divers investigated the site, and found many vehicles with skeletons still trapped inside. This aircraft was made for battle, but this particular one crashed due to a fuel shortage. Luckily no one was harmed! These are a strange occurrence, to say the least. It is a natural phenomena, and no one knows how they happen, but they are found in every ocean. Some grow just a few millimeters, and some grow to be the size of grapefruits. 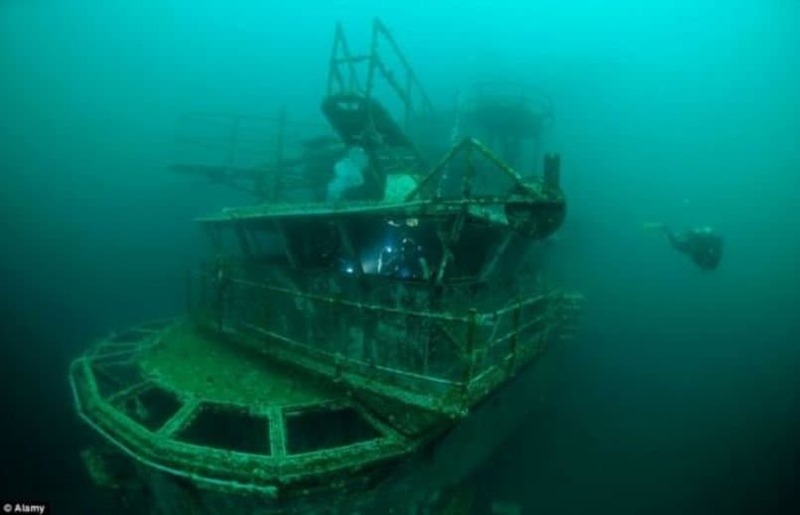 This ship sank in the Pacific Ocean after hitting some underwater mines. Before it was used during war, it was a beautiful ship used for vacationers. The left behind wreckage is haunting. 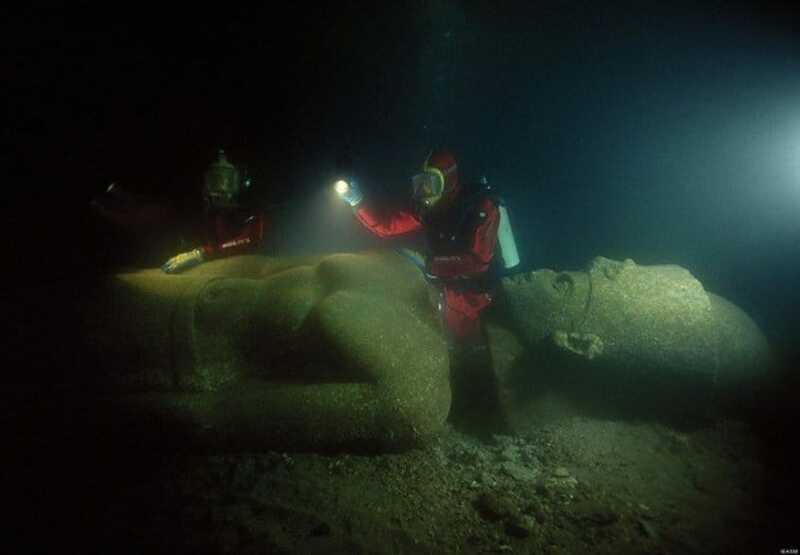 This is one of the most fascinating finds underwater – probably ever. The Cenote Angelita Cave is called an “Underwater River” and is accessible only to master divers. 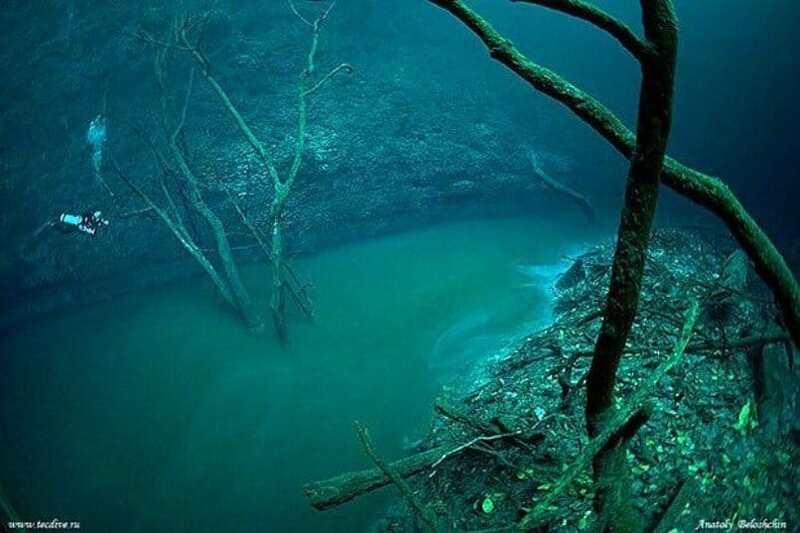 Ninety feet down into the (already underwater) cave, divers encounter what appears to be a river, with plants and trees adorning the “riverbanks.” It is however, just an illusion. The “river” is just a cloud of hydrogen sulfide made by mixing the saltwater and freshwater together. This list wouldn’t be complete without the mention of the Titanic. 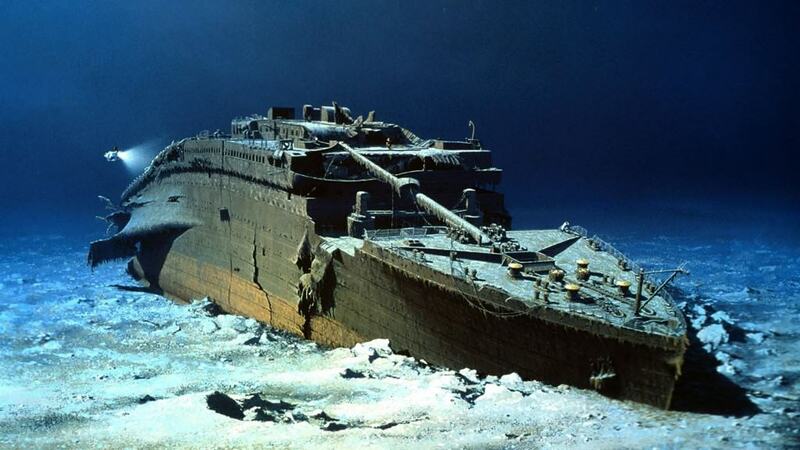 It is a tragic and beautiful piece of history. This aircraft carrier earned seven battle stars during the Korean War and the Vietnam War, and even received a mention in Top Gun. 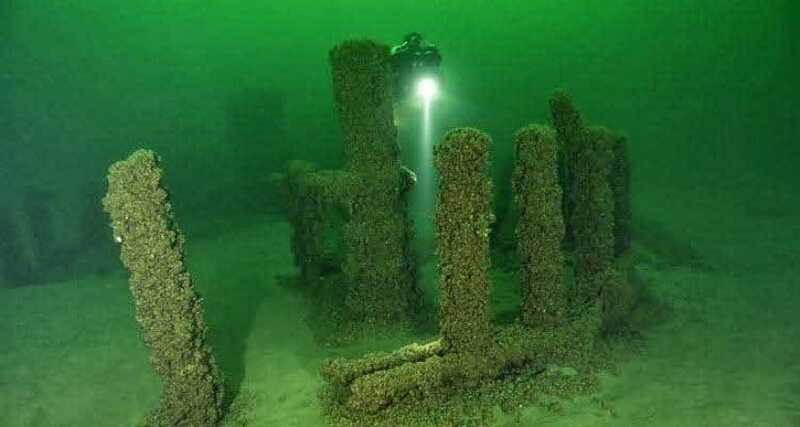 Now it is the world’s largest artificial reef. 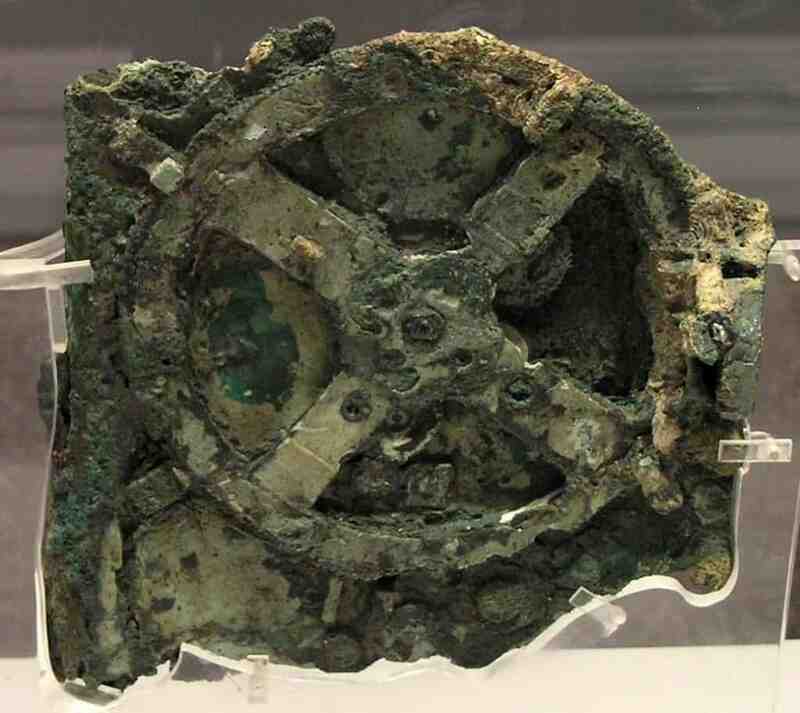 This weird recovery was found in the early 1900’s by Greek divers, and is an ancient analog computer. Basically, it was used to predict the movement of the stars and moons, and is estimated to be from somewhere between 205 and 100 BCE. 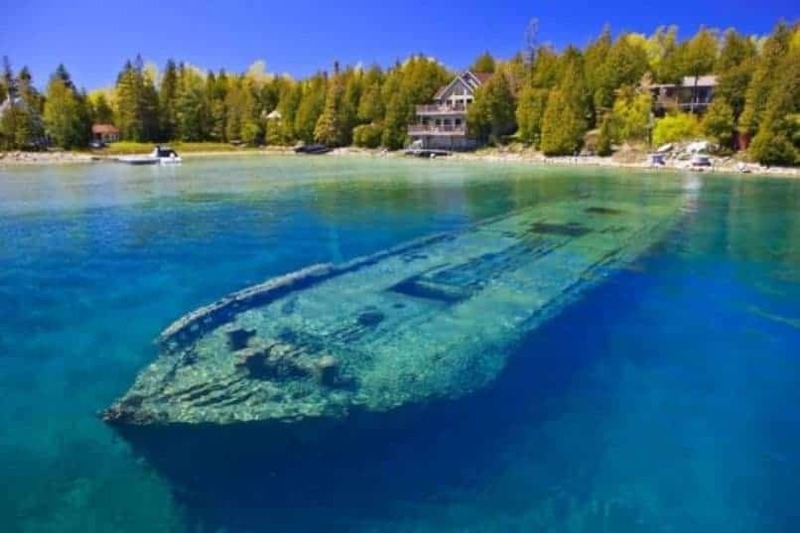 This large ship, named Sweepstakes, is very cool because it is not very far under the sea at all. In fact, it’s visibility makes it incredibly unique. 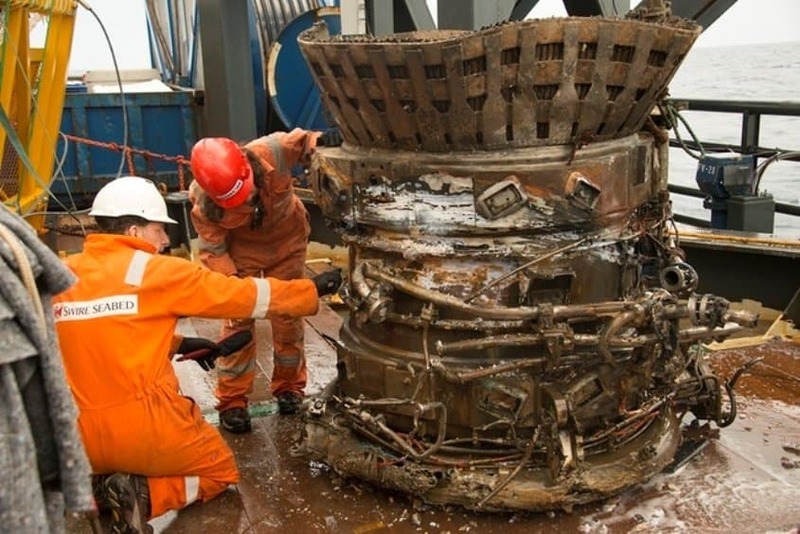 These rockets were thought to be lost forever, but Jeff Bezos launched an expedition to find them, and both were found. 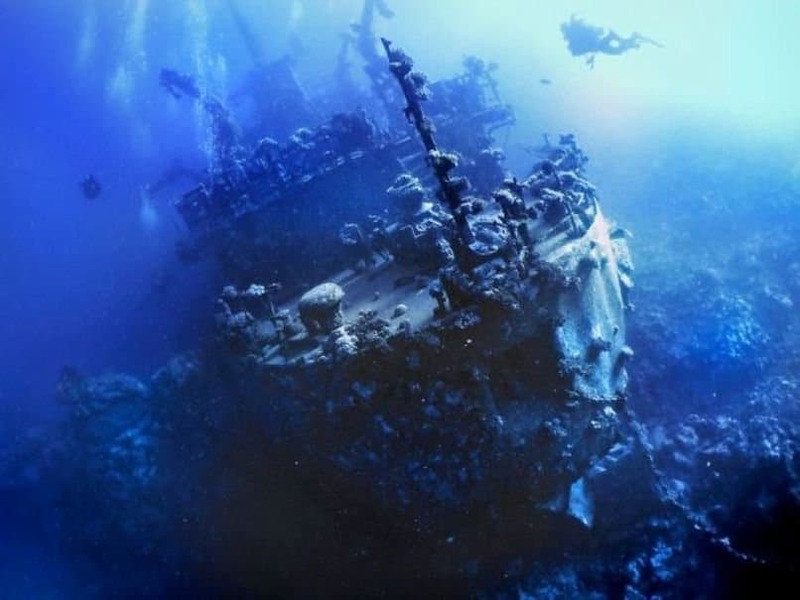 This British Merchant Navy ship was bombed down in the Red Sea. 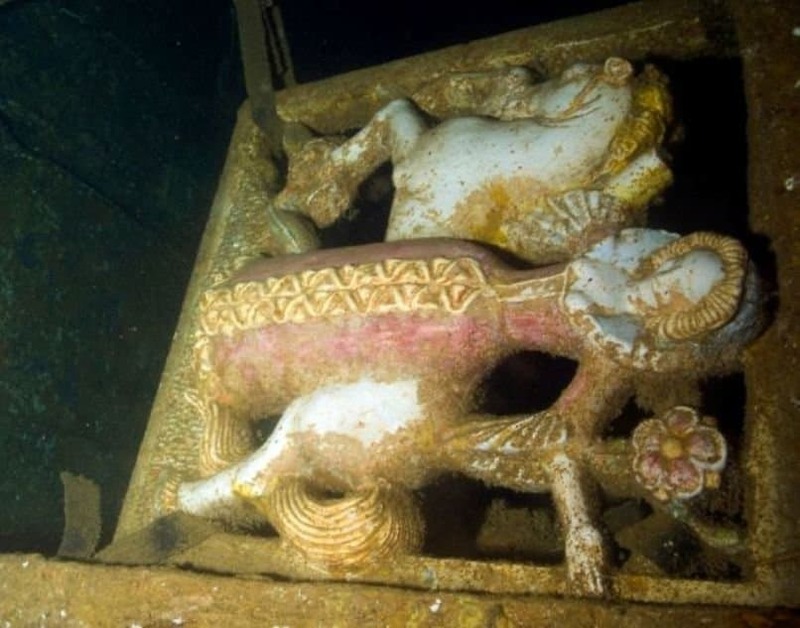 Divers found very interesting motorcycles, cars, and other pieces of history on this ship. This discovery sounds like something out of a movie! 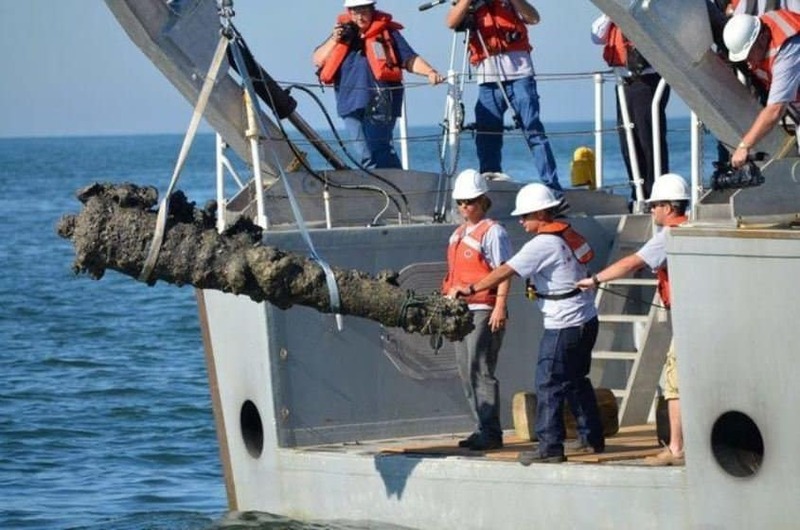 Blackbeard crashed the Queen Anne’s Revenge somewhere in North Carolina, and when it was found, so were a ton of other things – like these cannons, the heaviest of which weighs 3,000 pounds. 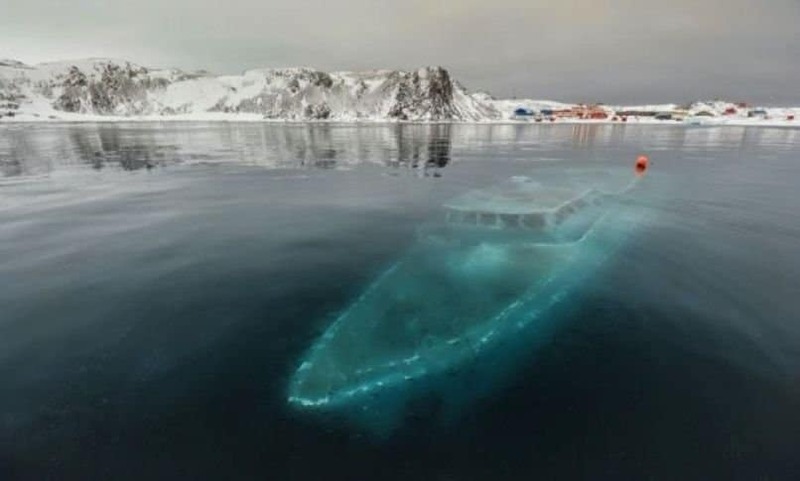 Here is another example of a sunken vessel very close to the surface. 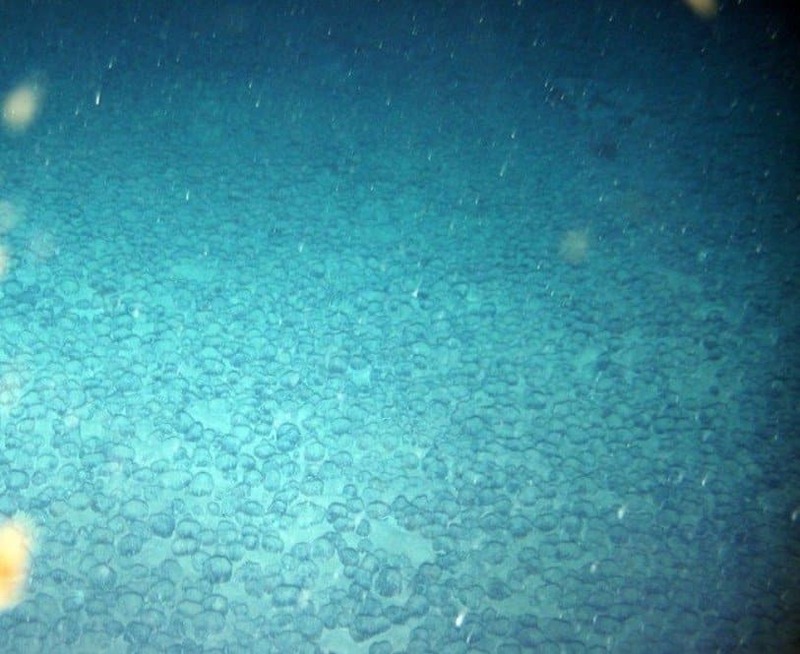 Because it is beneath icy waters in Antarctica, it has a very ghostly look to it. 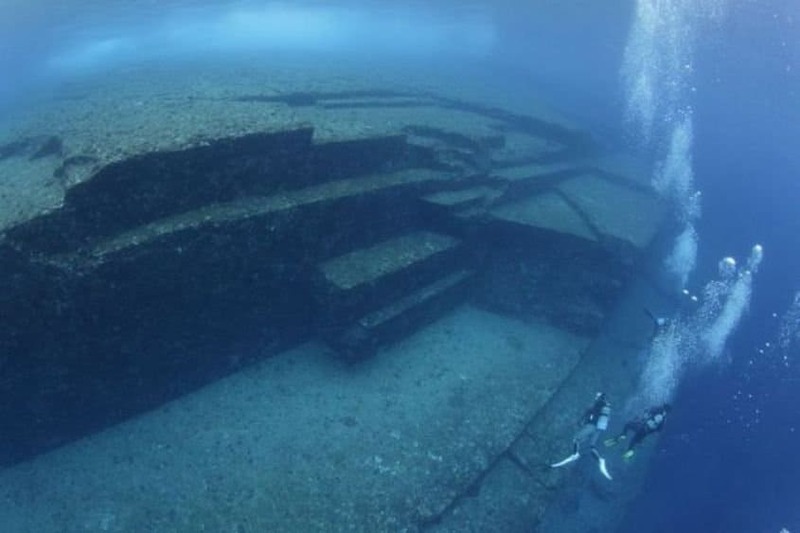 The waters off of Yonaguni Island, Japan, have yielded one of the most baffling discoveries for divers and scientists alike. 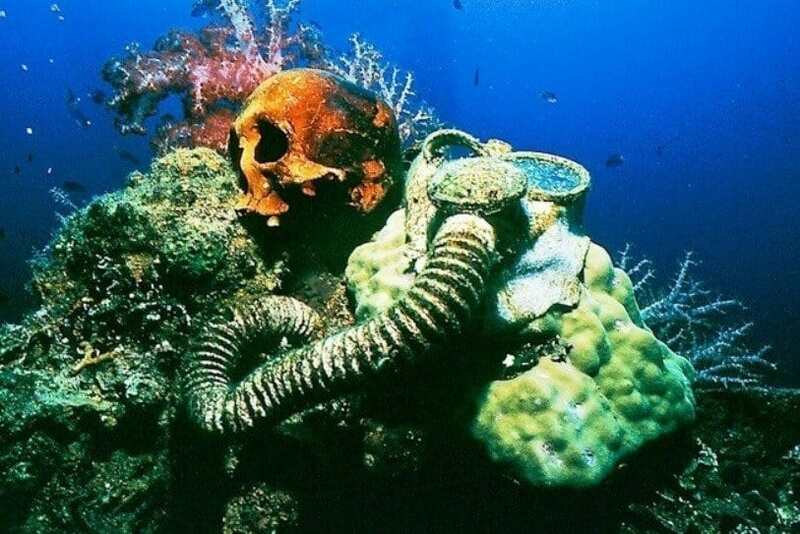 This rock formation appears as though someone had to have constructed it, but it is entirely underwater, so scientists debate as to whether it may have been the result of earthquakes and erosion. 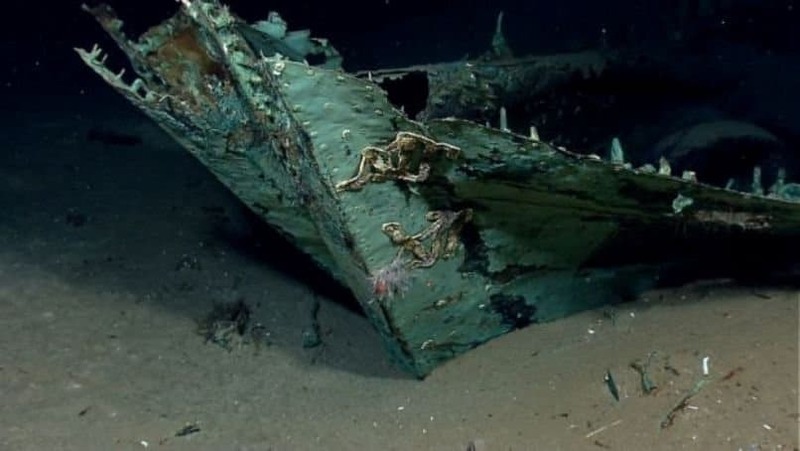 No one seems to know exactly what or where this ship is from, but it is dated back to the 19th century. 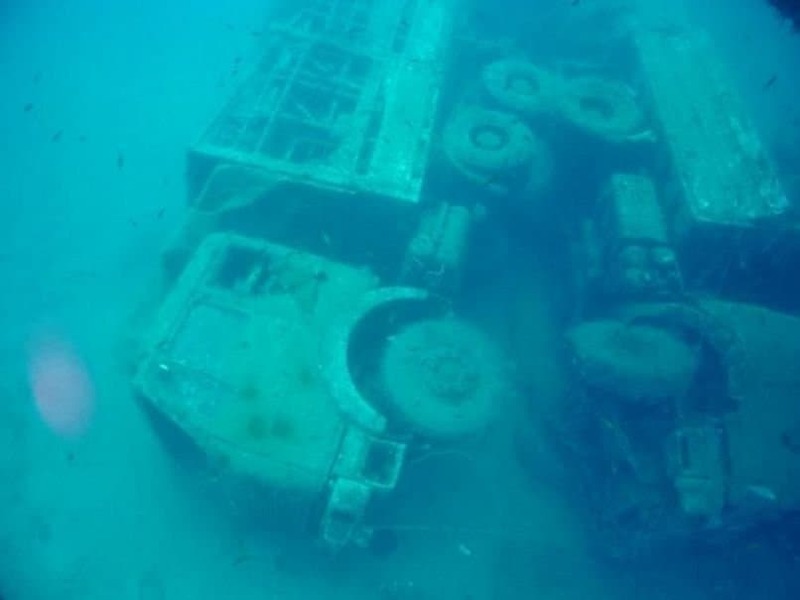 This Russian surveillance ship can be found at the bottom of the Red Sea.